Personalized to your preferences, your coolie is available in Mossy Oak Break Up, Mossy Oak Duckblind, Mossy Oak Obsession, and Mossy Oak Treestand. Designed for 12 oz. 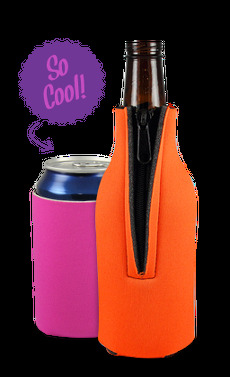 long-neck bottles and made with premium 1/8" thick scuba material, equipped with a built-in zipper to ensure maximum insulation.